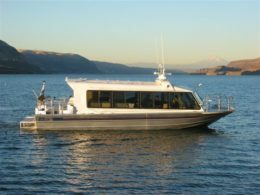 Our commercial US Coast Guard certified passenger vessels operating in open ocean, salt water environments require many of the same needs as our freshwater boats for safety, efficiency and longevity but hull materials and components need special consideration due to the corrosive environment the vessels must operate in. Saltwater resistant aluminum alloys, stainless steel fixtures and fasteners, installation of sacrificial zincs, tinned wiring and sealed electrical components are critical to minimizing maintenance and ensure the entire vessel in protected for long term use. 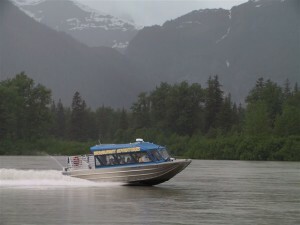 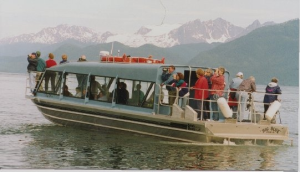 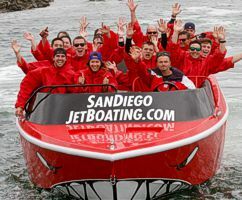 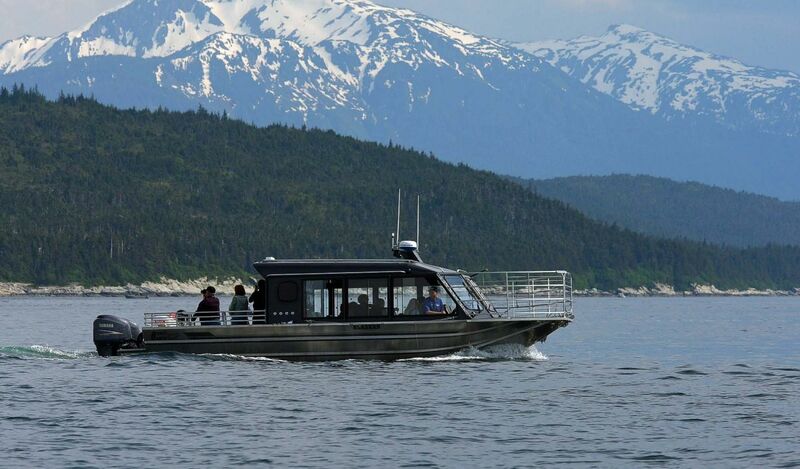 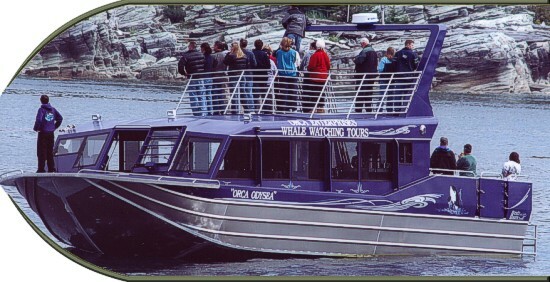 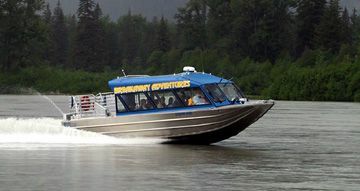 Dolphin Jet Boat Tours searches for whales on the Alaskan open waters, and in June of 1999 we extended our fleet with the addition of Big Blue. 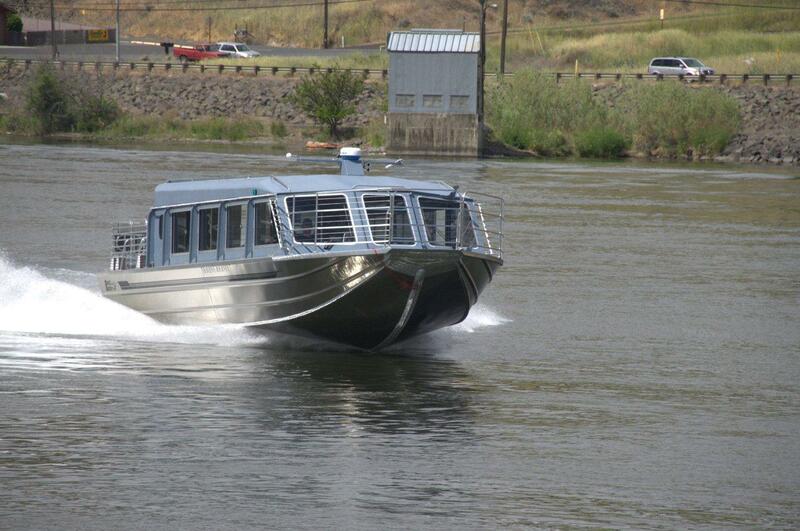 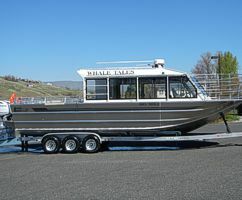 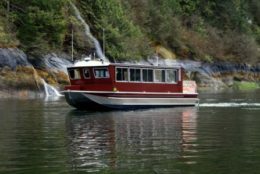 This 40' triple diesel engine Bentz Boat has run almost every day since it's June arrival. 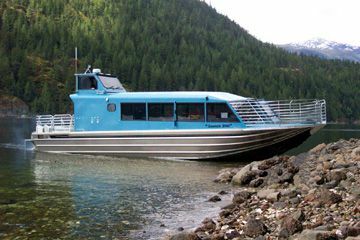 The factor limiting our ability to use Big Blue is the comfort of our passengers, not the ability of the boat to handle the seas. 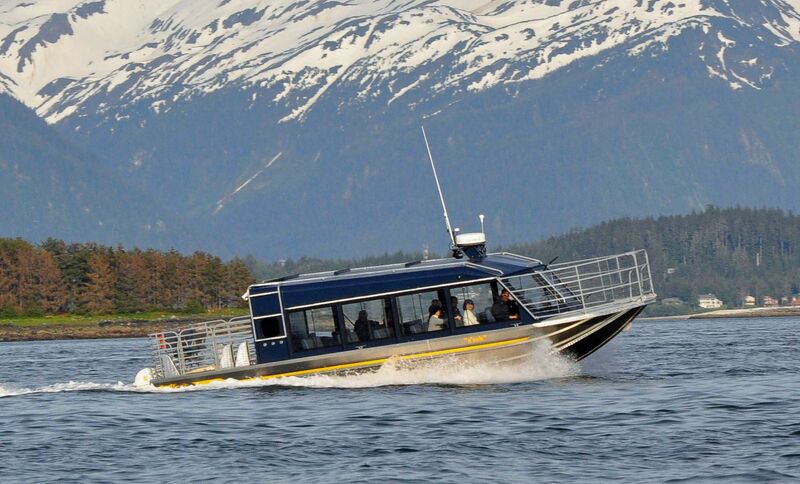 When the weather gets to the point that the majority of the passengers would be uncomfortable, we will cancel a tour. 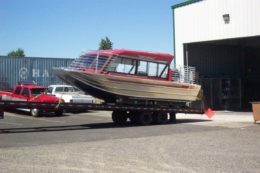 In addition, we are on a tight schedule and cannot afford to drop off step. 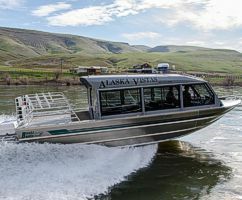 Another operator with a different type of passengers and different operating schedule could continue to operate at reduced speeds through worse water. 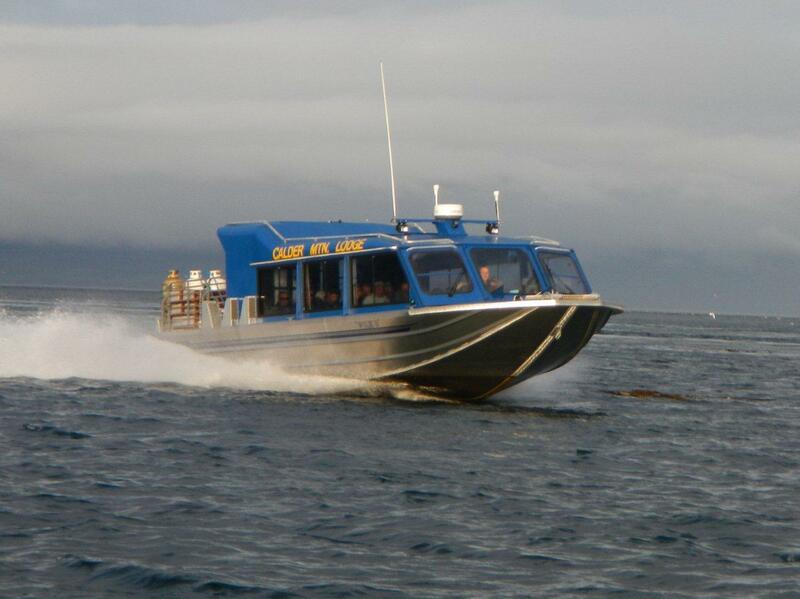 The size, steepness, frequency, direction and uniformity of waves all effect the severity of the seas. 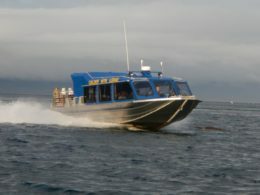 To date, we have not encountered seas too severe for Big Blue. 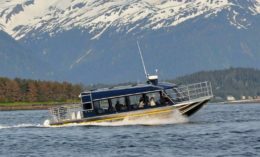 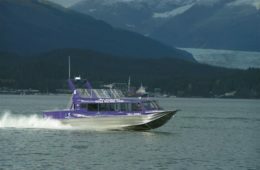 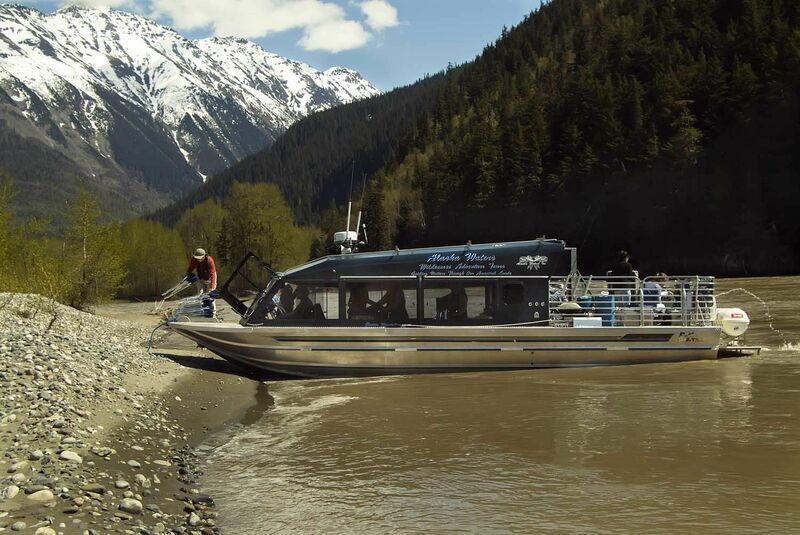 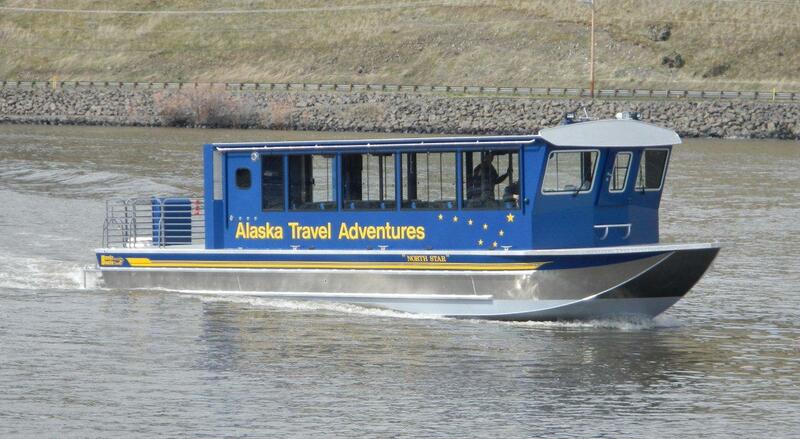 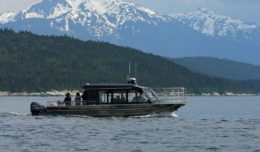 I have seen seas that were too rough for Big Blue during a winter day in Juneau, but to build a 30 passenger boat that could handle those seas would not be practical for everyday use. On that day the 85' catamaran to Greens Creek did not run. 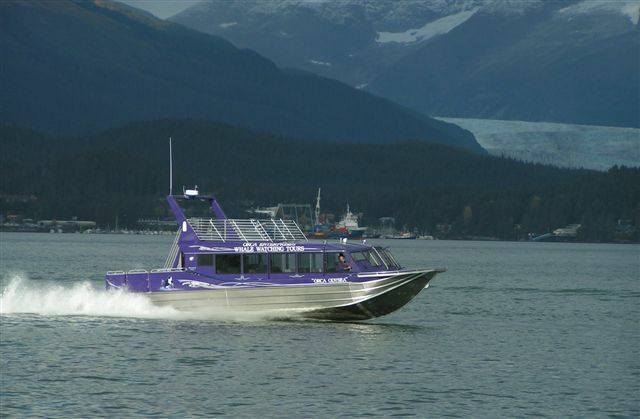 Any boat is a compromise between fair-weather performance and rough water survival. 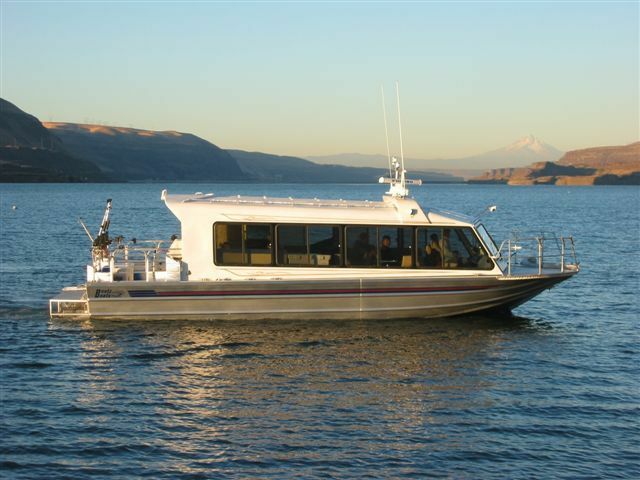 Big Blue is an eminently capable fair-weather boat with outstanding characteristics in marginal weather. 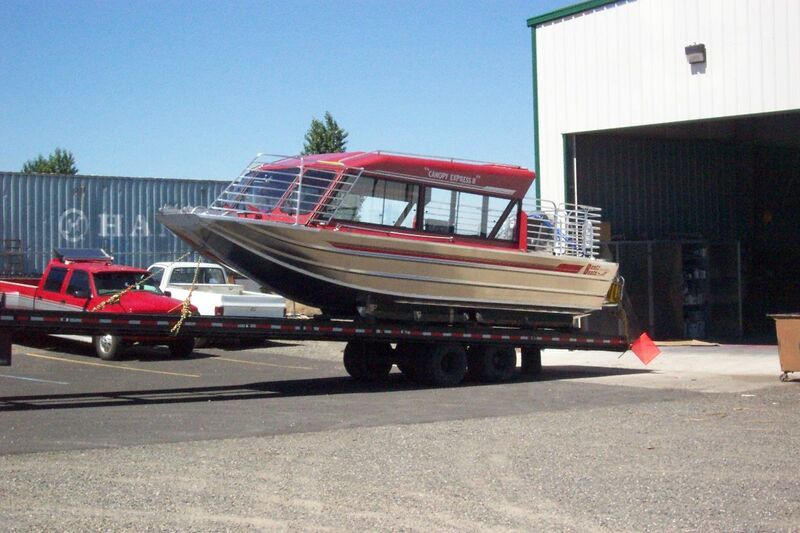 When we buy another boat, it will be built by Bentz.